Nicosia is one of the main tourist destinations in Cyprus. The city features magnificent monuments, quaint roadways and a bustling performing arts scene. This wondrous city continues to attract many visitors from around the world each year. Once an ancient kingdom known as Ledra, Nicosia has experienced an eventful history throughout the centuries. The city eventually became a of the Byzantine Empire and later fell under the control of the Knights of Templar in the 12th century. In 1974 Turkish armies invaded Nicosia and since then the city is divided into two parts. It is currently the only divided city in the world. Many structures representing the history of the southern portion of Nicosia still stand to this day. Old city walls still surround portions of the town near Ledra Street. An old aqueduct completed in the 18th century was once used to bring fresh water from the local mountains into the city. Visitors can also learn more about the city's history by visiting the Cyprus Archaeological Museum. Visitors also have the option of learning more about the performing arts in Nicosia. The Theatrical Organization of Cyprus regularly hosts performances by the Cyprus Symphony orchestra inside its modern theatre. The Ammochostos Gate Cultural Center also hosts many cultural events throughout the year. 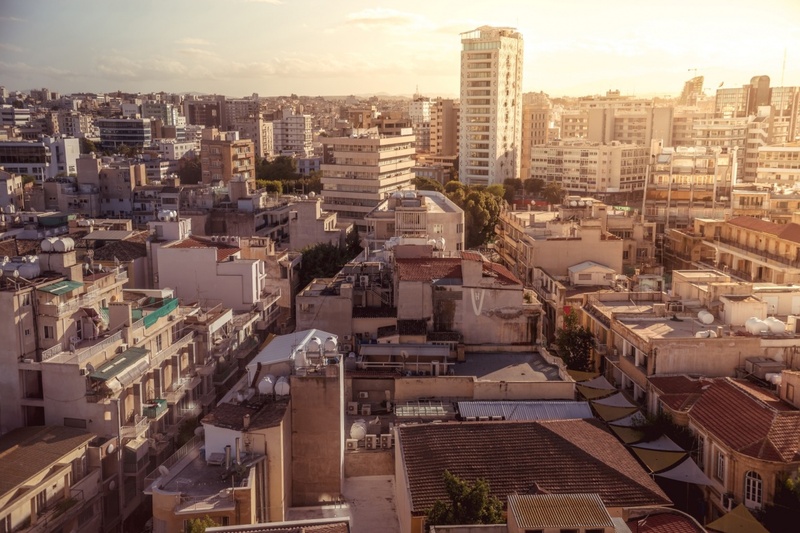 Nicosia enjoys warm and sunny weather throughout much of the year. The mildest times of year are during the winter. The winter months also typically see the largest amounts of rainfall. Comfortable temperatures are common during the spring and autumn months. Summers are normally long and hot with little rainfall. Exploring the southern portion of Nicosia is a great way to learn more about Cypriot culture and history. This fascinating city offers something special for every visitor. Find information about selected Hotels, apartments and rooms in Nicosia to choose the perfect place for your accommodation.